A quick view of the most influential metrics in Ha'ena. Ha'ena, Hawaii is a small community on the north shore of the island of Kauai. The area is known for steep mountain sides, cliffs, waterfalls, lush tropical foliage and beautiful white sand beaches. 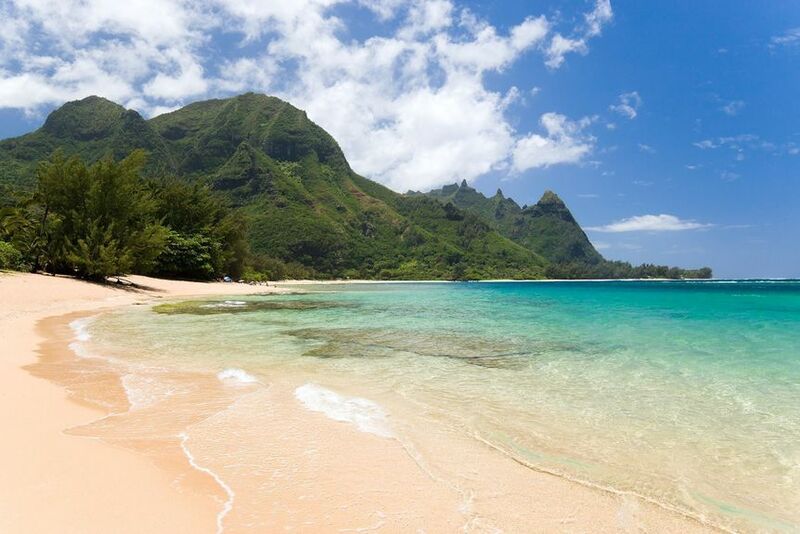 Some of Hawaii's best snorkeling is at Tunnels Beach, in Ha'ena, where a large underwater coral reef forms a protected lagoon featuring underwater ledges and caverns that are home to an abundance of marine wildlife. The beach is the perfect place for sun bathing, shell collecting, sand castles and swimming. The community of Ha'ena is a peaceful beach side community that welcomes new residents and visitors with open arms and plenty of sunshine. The community of Ha'ena is a peaceful beach side community that welcomes new residents and visitors with open arms and plenty of sunshine. The Kalalau Trail, which is known for its beauty, dangers and challenges, is a popular the local attraction. The trail is 11 miles long and runs along Ke'e Beach extending to the beautiful Kalalau Valley. According to Outdoor Magazine the trail rates among the "20 Most Dangerous Hikes" in the world. Another local attraction is the Limahuli Garden and Preserve, which is a botanical garden and nature preserve and is one of five gardens included in the non-profit National Tropical Botannical Gardens group. The garden spans 17 acres and the nature preserve spans 985 acres and has three distinct ecological zones and is home to countless species of flora and fauna. According to city-data.com, which features data from 2012, the population of Ha'ena was 431 and the estimated household income was $59,238. The estimated house or condo values in the community was $447,000 and the median gross rent was $1,130. Ha'ena is a beach community and home prices reflect that. Homes for sale range from small beach homes through luxury beach homes. Other real estate options include condominiums for sale or lease and luxury apartments for rent, all of which come with a variety of amenities. Local real estate agents are ready to assist you in your search for just the right place for you to call home. View our selection of available properties in the Ha'ena area. Check out the latest demographic information available for Ha'ena. Browse through the top rated businesses in the most popular categories Ha'ena has to offer.